Swedish Royal Clothing ID's: The Posse is Back Together! Today the entire royal family, minus Chris and the grandkids, attended the opening of parliament! Madeleine flew in from London for this occasion and returned to London this evening, missing the traditional attendance at the Royal Opera House. Let's get right down to fashion and jewels (because that is what this blog is about and I still need to eat dinner before my class!). Note- dress code for the opening of parliament is black and white- hence the outfits! Queen Silvia wore a black jacket over what imagine to be a black suit. Her shoes appear to be Salvatore Ferragamo. 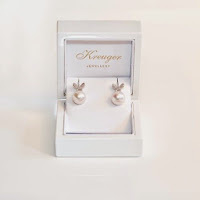 She wore a pair of pearl and diamond earrings from the Bernadotte collection as well as the Diamond and Pearl Ivy brooch which can be dated all the way back to Queen Victoria. For the performance this evening she traded her black suit for what appears to be a navy gown. 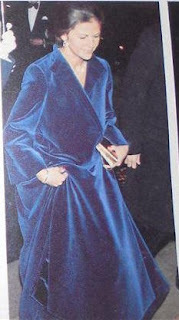 Funny enough the blue velvet coat she wore over it upon arrival she has had since 1977! Check out this magazine scan I have of her wearing it back then! Which coat appearance did you like better? Crown Princess Victoria re-used her Milly Jacket from when she attended Parliament while pregnant with Estelle, honestly that is what I expected her to do. She carried a clutch from Hunkydory. 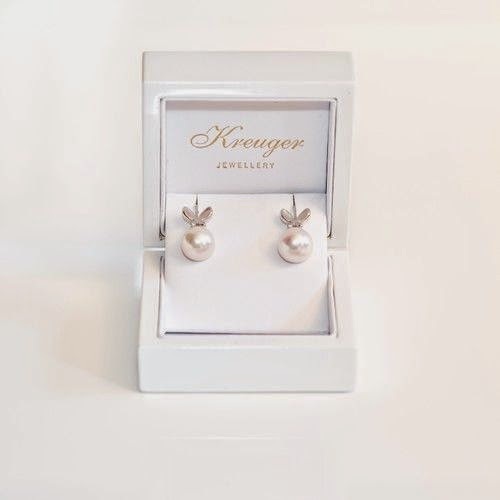 Her earrings are from Kreuger Jewellery. 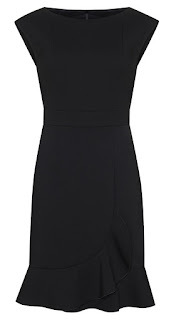 For the performance this evening, she also re-used her short Adrianna Papell dress from earlier in the year. Sofia attended parliaments opening for the first time as an official princess, last year it was a few short months after being engaged! 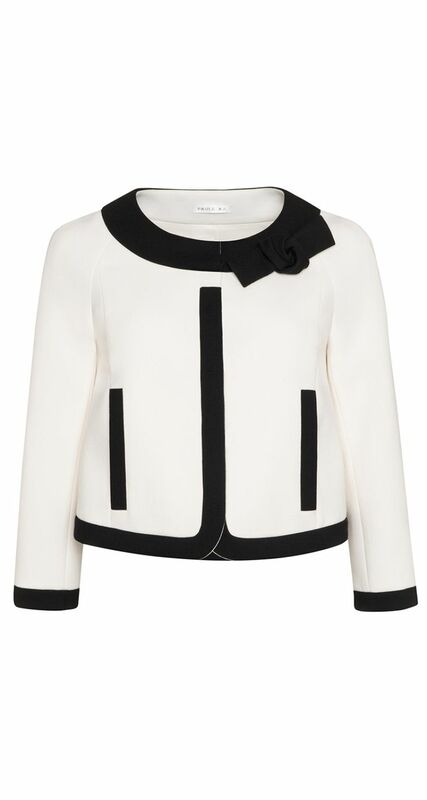 For the Opening of Parliament she wore a black and white jacket from Maje and carried a clutch from Hunkydory. Later in the evening, she changed into a blue sleeveless dress from Ole Yde which she wore a black cape from Viktoria Chan over. Her shoes come from Jimmy Choo. Princess Madeleine is last up in our review. 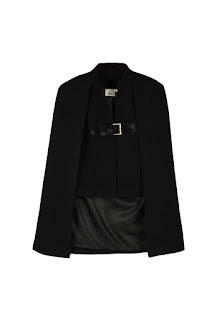 She wore a jacket from Paule Ka today over a black Paule Ka dress. I did not know that about the black and white dress code, their outfits makes a lot more sense now. I do hope Carl didn't get in trouble for his color tie. Can I be picky? Monochrome refers to wearing a single colour (mono = one; chrome = colour), though it is made interesting when more than one shade of a colour is worn. So, Silvia is the only one wearing monochrome. I do think you mean re-using not recycling an outfit. After all, the outfit wasn't changed into something else. I changed the wordings. Thanks! Great! Thanks for the blog.